How to Market a Documentation Group Writing Assistance, Inc.
How Can You Market Your Documentation Group? In times of stretched budgets and cost cutting, upper management is often looking for dead weight within the organization. Weeding out unnecessary functions can mean the difference between making a profit or operating in the red. 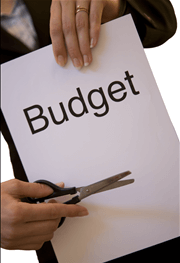 If your company ever finds itself in a position where it is looking to cut costs, it’s best to be prepared. How can you do that? By proving the value of your documentation group every day. In his article, How to Market a Documentation Department, Robert King looks at specific ways to do just that. And by marketing your documentation group effectively, you’ll not only be able to show the value you bring to the table, you just may be rewarded with new opportunities for your department. Read the article and then leave a comment here if you’d like to add your thoughts or offer some additional tips for getting the documentation or tech comm group out in front of the organization.